Laura Goggin Photography: Egg time for Christo and Dora? Egg time for Christo and Dora? 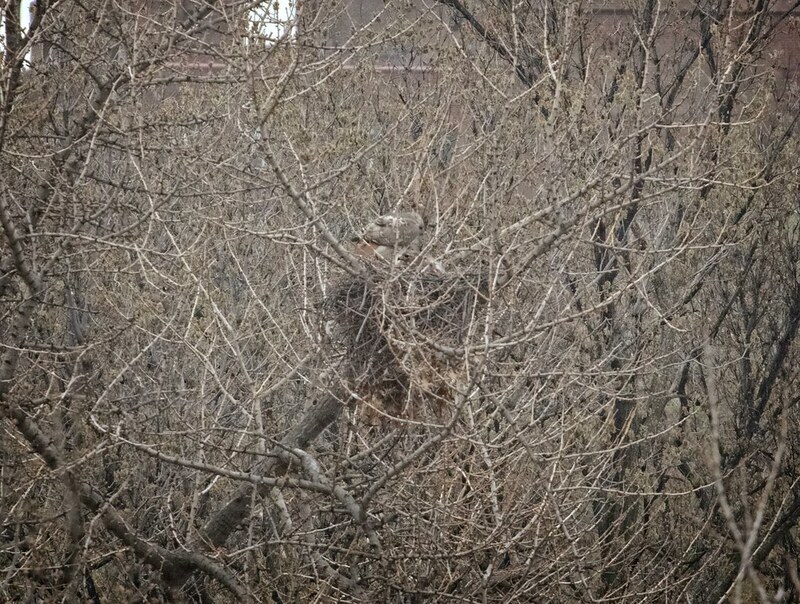 Judging by Christo and Dora's behavior over the last few days in Tompkins Square, it looks like they have eggs in the nest. They've been doing nest-switches, and when Christo comes in to relieve Dora, he gets right down inside the nest which tells me they are incubating eggs. As I said in the previous post, assuming all eggs were laid this past week, we can look ahead to hatching around the end of April. Of course, we won't be able to see the eggs hatch, but we will know that babies have arrived when Christo goes into overdrive with food deliveries to the nest. This is Dora on the nest today. 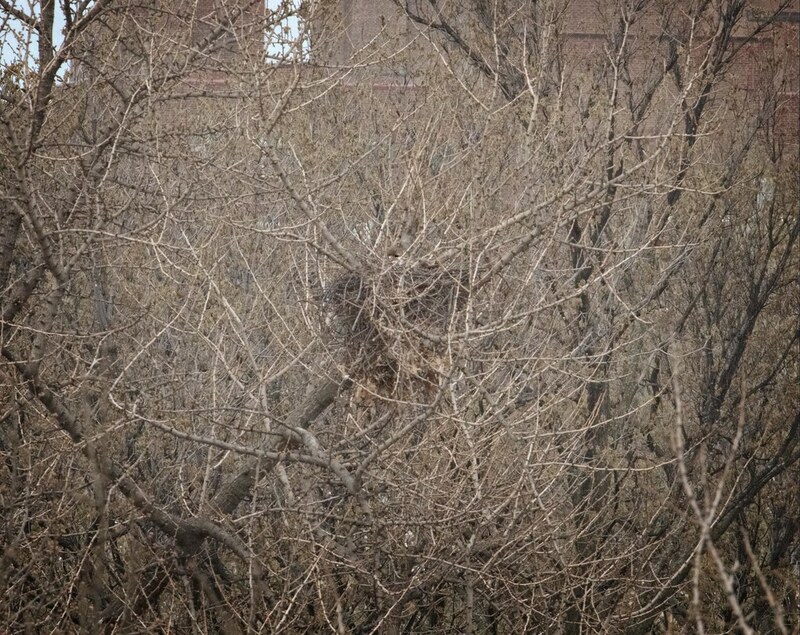 Look close and you can see her head just peeking over the top of the nest in the center of the photo. At the end of the day, Christo paid a visit. 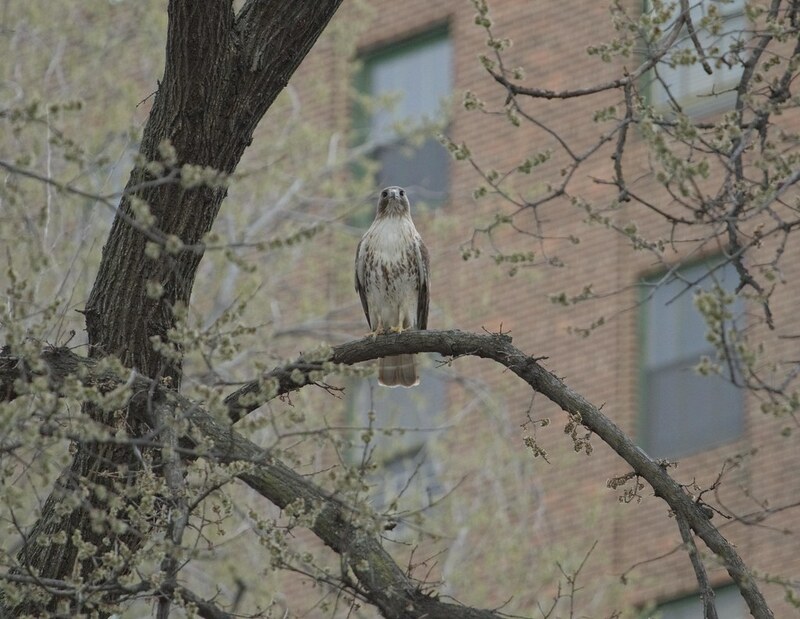 I assumed Dora would get up for a break, but she remained seated in the nest as Christo gingerly walked around the edge. 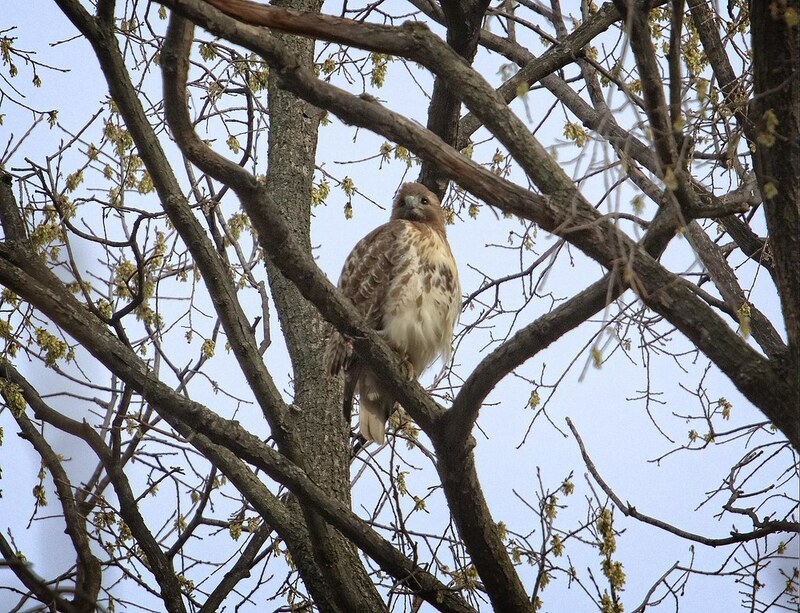 Yesterday, late in the afternoon, I caught Dora taking a break in a nearby tree as Christo took over nest duty. She's looking beautiful as always. 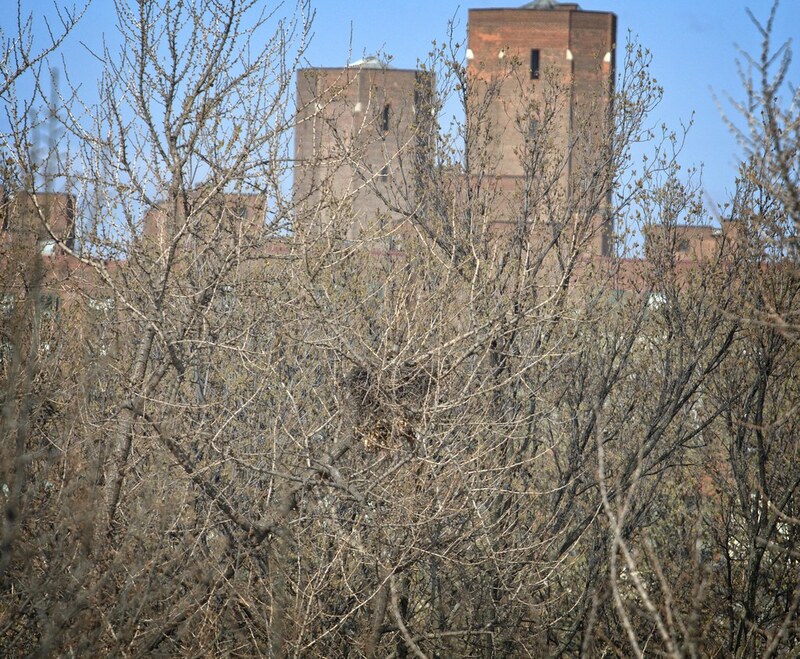 And when Dora is in the nest, Christo remains close by, keeping watch. 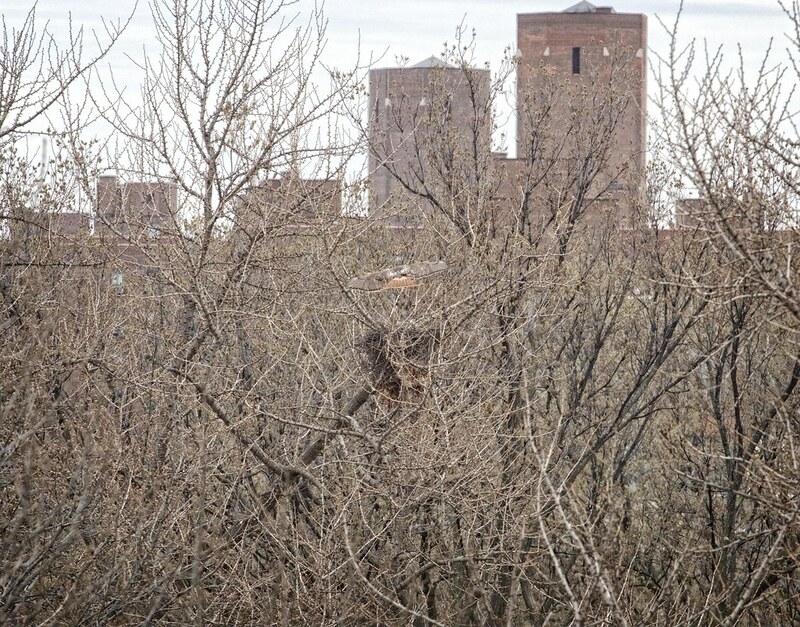 One drawback to springtime is it means there will soon be leaves on the trees and our view of the nest will be obscured. But I'm sure Dora welcomes the privacy.